invite you to stay at our lovely park. 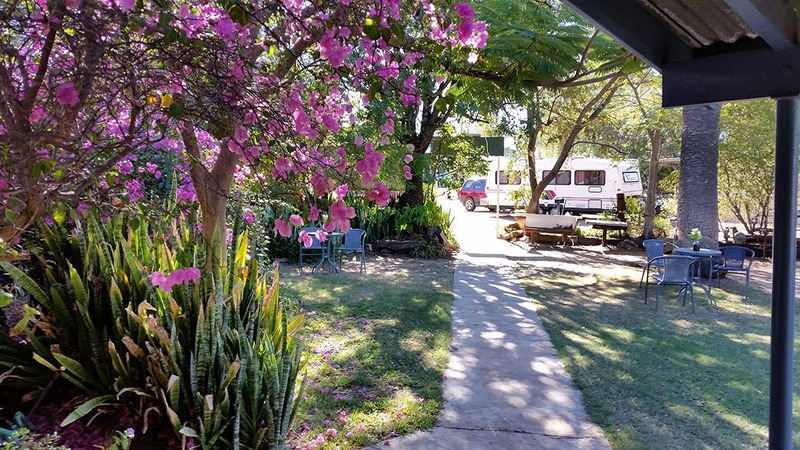 We offer good old fashion country hospitality and have all the features you would expect — spotlessly clean amenities, self contained cabins, grass and slab powered sites, tent sites, large well equipped camp kitchen, BBQ, dump point, kiosk, free wireless internet, we are walking distance to shops, pubs, club and artesian pool. 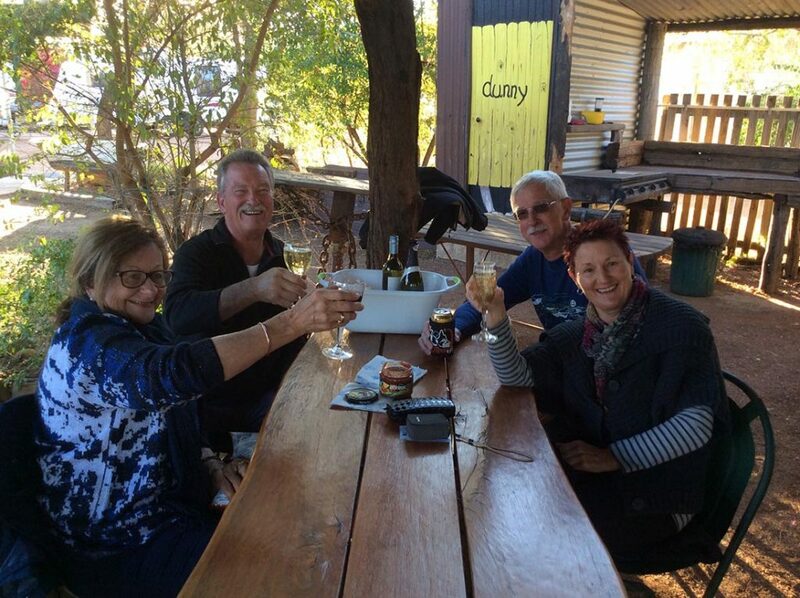 Our authentic camp kitchen is a great place to share a drink and travel stories with your new found friends. See more on the park facilities. Join us for delicious roast dinners, entirely cooked in camp ovens, followed by the best damper in the west, served with butter, golden syrup and billy tea. Live entertainment, every evening, featuring “Evan Bayer”. Evan travels all the way from Adelaide to entertain our guests. 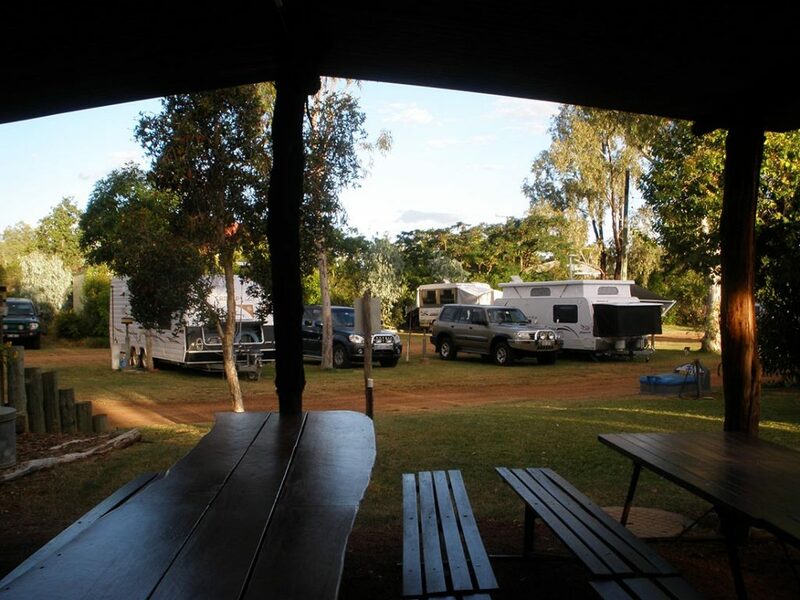 On the banks or the Barcoo River, Blackall is a town to rest, relax and revive in a green and friendly environment. Stay a while, and let a soak in the famous artesian spa rest your weary travellers bones – or enjoy a host of other local attractions. 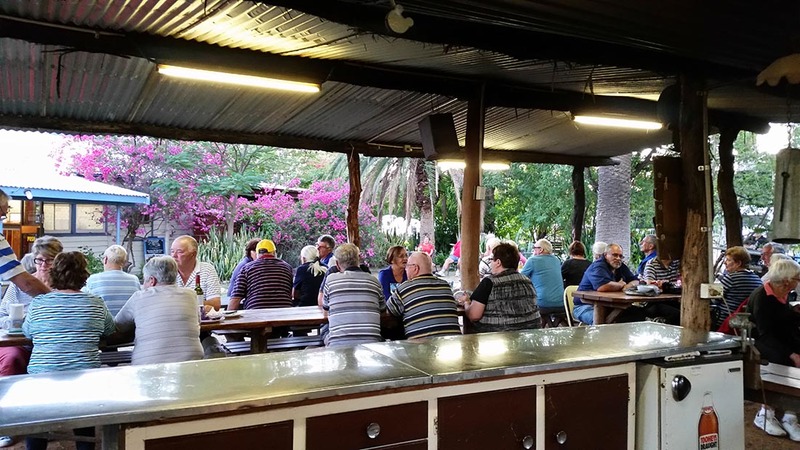 Blackall has a fresh country atmosphere; tidy, pollution free, and renowned for its glorious sunsets and clear night skies. 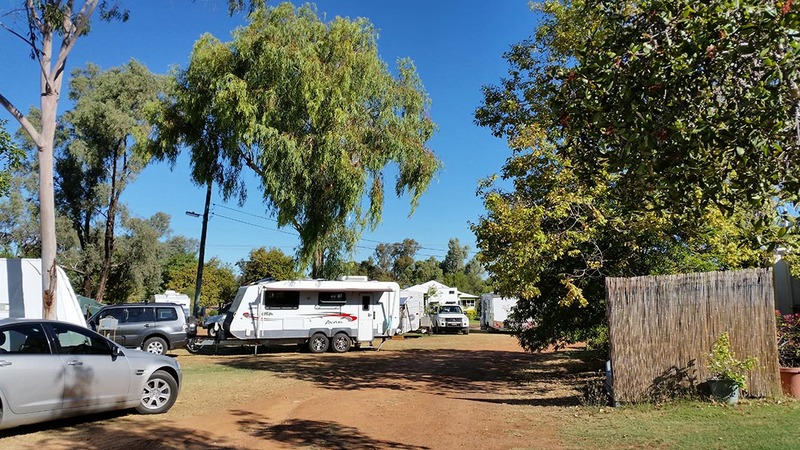 Blackall is located on the Landsborough Highway approximately 1100 km inland from Brisbane, distanced from the hectic pace of city living yet easily accessible by road and air. See our location. 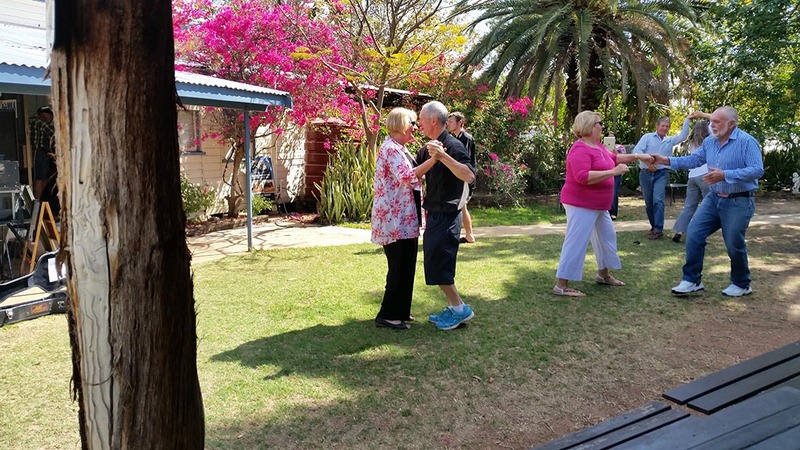 With a temperate climate that produces winter temperatures of around 25 degrees Celsius, the town has a welcoming atmosphere set in picturesque main streets lined with beautiful bottle trees, old-style buildings and lively well-kept gardens. Read more about Blackall.